"As a five-year-old, I used to attend classical music conferences, which added to my musical leanings. I used to learn from my elder sister while she did her riyaaz early in the morning. 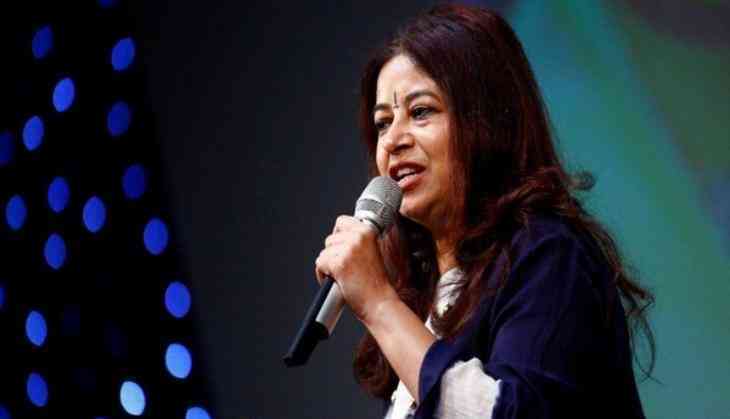 Even as a child I knew I had to be a professional singer, it came naturally to me", confesses noted playback singer Rekha Bhardwaj. One of the singing sensations of the modern era, Bhardwaj was speaking at the fifth Veda session of Whistling Woods International. "When you are well versed with a song, improvisation happens on its own. You can play with the song however you like it because then it becomes your own song", said the popular playback singer while advising the students. She also shared stories about how till date her husband, Vishal Bhardwaj composes a song and asks for her opinion on each of his music compositions. While interacting with the students, she also performed some of her hit numbers for an auditorium packed with enthusiastic audience. While interacting with Salim Arif she shed some light on her journey as a singer. She also shared some tips with the students, which she promised would help them improve their singing and achieve success in the future. She said, "My Guru ji used to say the most important riyaaz (practice) is to listen to yourself. Also, the folk music is the mother of all genres of music in the world. Classical music helps you stay grounded, which lays the foundation of singing. Classical music is like meditating; it gives you inner peace and helps you stay calm." On being asked by a student about her favourite song, she revealed, "Each song is very close to my heart. But singing on Gulzar ji's lyrics feels like singing for myself. Apart from that, each song adds to my musical journey, and so it becomes special". Subhash Ghai, Founder & Chairman, WWI presented the guest of honour with a token of appreciation and said, "I have seen the students groove and hum to the tunes of many artists, but I have never seen so much joy and peace on their faces in a long time."